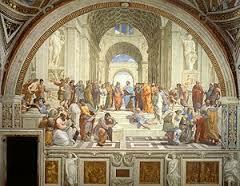 I can identify and describe the influence of classical Greeks and Romans on modern democratic governments. Click HERE to learn more about the Roman system of roads. Click HERE to learn more about the Roman aqueducts. 2. Click HERE to complete an activity based on the origin of Rome. Make a copy of this document, complete the activity. Be sure to save this document to your Ancient Greece and Rome folder in Google Drive.